the way in which it is delivered through the supply chain. ​chain as a whole as the vehicle which competitive advantage is achieved. 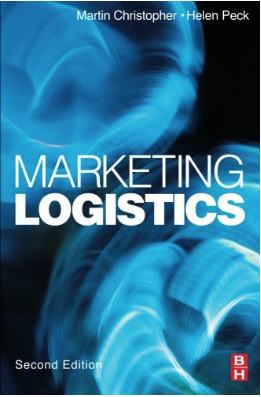 As well as drawing upon current research and experience of firms worldwide, Marketing Logistics uses numerous ‘mini cases’ and vignettes to illustrate the key messages in each chapter and bring the theory to life. This book is an invaluable resource for managers who seek to understand more about the way in which the supply chain should be managed to improve their organisation’s competitive position, as well as students undertaking degree-level courses in marketing and supply chain management.